V2.1 ZIPster: Detachable for mod exchange or clip carry. 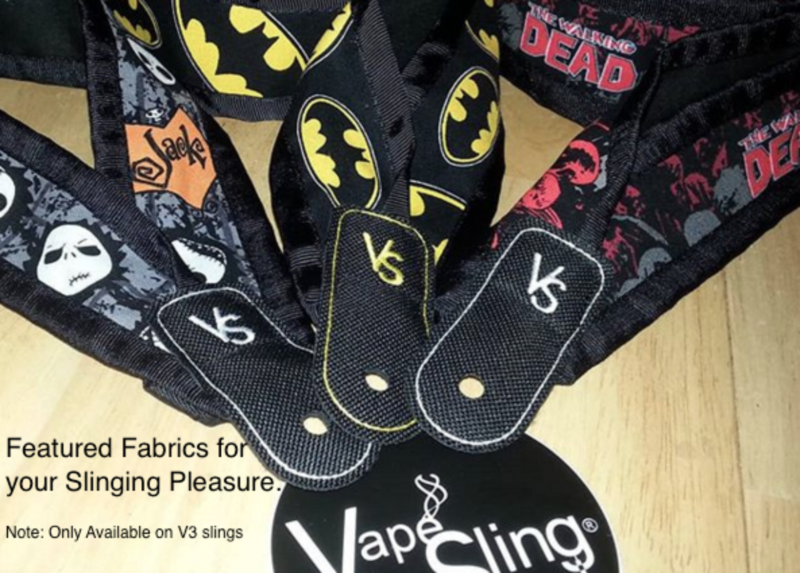 Developed to accommodate users with a cross-body/shoulder Mod/Vape carry. Detachable for mod exchange or clip carry. A Mod Holder with 2 uses in 1. The ZIPster can be used as cross-body sling or carabiner clip Holder. As with all our Slings, Mods of ALL SIZES, WEIGHT and SHAPE are held, comfortably and securely. Your Mod’s weight is supported at your belt loops, purse strap, waistband, backpack, Sling or wherever you choose to clip the carabiner. The 50mm carabiner is black in color and engraved with ZIPster™ and the VapeSling® logo. Features Military grade paracord and proprietary reinforced, liquid proof, black canvas cradle with Embroidered VS Logo. This tough cradle will carry all 510 Mods, e-cigs, vaporizers of all sizes and weights, securely and comfortably. Own a HIPster and want to convert it to a ZIPster? Easy! Get our ZIP line ZIPster accessory. Although Wolfie is reviewing several items, her ZIPster™ is 1st to be reviewed. BTW: we agree on the DumbBlondEjuice review as well. DumbLuck is a VSLLC favorite.